Mo Farah is set to return to road race action in September at the Bupa Great North Run. The double world and Olympic track champion has had his summer plans interrupted by illness and was forced to withdraw from the 5000m and 10,000m – the distances over which he won his Olympic and world titles – at the Commonwealth Games. He is due to contest both those distances at the European Championships in Zurich which begin next week and after the summer season will switch his focus back to the roads for the half-marathon Great North Run event on September 7. 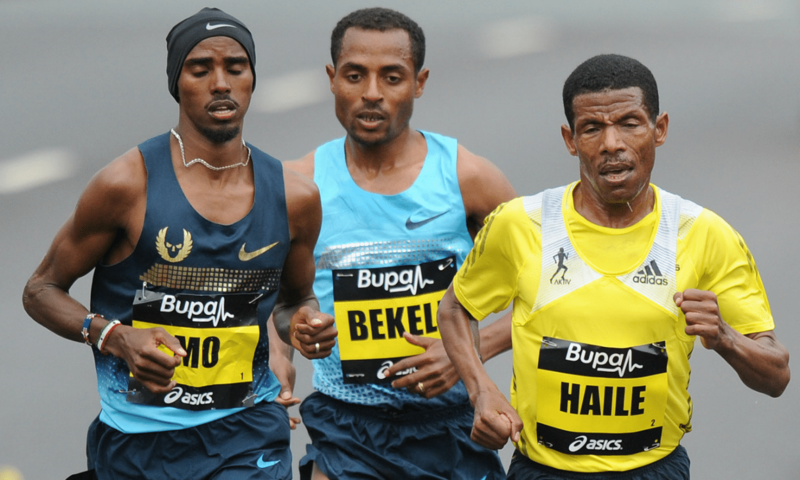 “I’m looking forward to returning to the North East to run my second Bupa Great North Run,” said Farah, who finished as runner-up to Ethiopia’s Kenenisa Bekele at this event last year, with Haile Gebrselassie coming third. “I have been part of the weekend several times in the past, taking part in the mile and two-mile races at the Great North CityGames on the Quayside,” added Farah. Farah’s last outing on the roads came at the London Marathon in April when he broke the English record for 26.2 miles with 2:08:21 for eighth place. He had been due to race the Bupa London 10,000 in May but withdrew as he was not then race-ready following his marathon debut. This year the Bupa Great North Run will become the first event in the world to celebrate its millionth finisher, with Brendan Foster, chairman of event organisers Nova, expressing his delight that Farah will be part of the 2014 edition. “I’m thrilled that on such a momentous milestone for the Bupa Great North Run, Britain’s greatest ever male distance runner will be joining us,” he said. Among Farah’s competition will be world and Olympic marathon champion Stephen Kiprotich, while two-time world marathon champion Edna Kiplagat is among those confirmed for the women’s race. Organisers have also confirmed that Lord Seb Coe will be the official starter for the race, the two-time Olympic gold medallist setting the 57,000 runners on their way. To celebrate the millionth finisher milestone the organisers are throwing a party on the banks of the Tyne on September 4, with the event to be put together by the creative team behind the London 2012 ceremonies. We’ve teamed up with Bupa Great North Run organisers and have a pair of tickets to the Million Opening Ceremony to give away to one lucky Athletics Weekly reader. Click here for further details and to enter (competition closes at midnight on Monday August 25, 2014).